Tracking windshield wiper activity can provide faster, more accurate rainfall data than radar and rain gauge systems we currently have in place, according to new research. 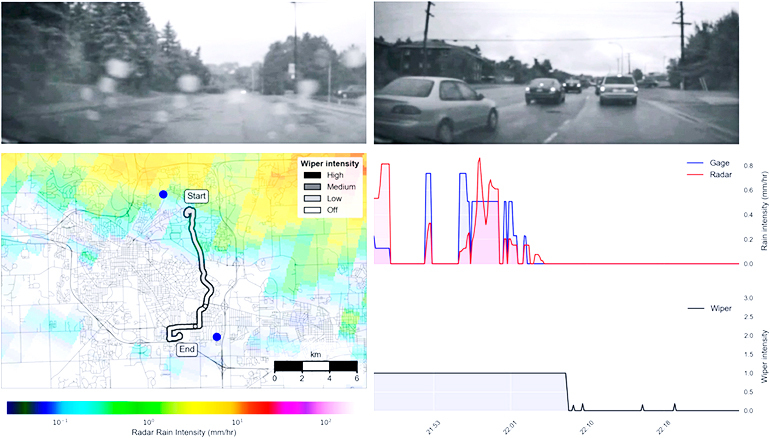 With a test fleet in the city of Ann Arbor, Michigan, engineers tracked when wipers were in use and matched that information with video from onboard cameras to document rainfall. Researchers collected data from a set of 70 cars outfitted with sensors in windshield wipers and dashboard cameras. A community armed with that real-time data could move more quickly to prevent flash-flooding or sewage overflows, which represent a rising threat to property, infrastructure, and the environment. “Because of the sparseness of radar and rain gauge data, we don’t have enough information about where rain is occurring or when it’s occurring to reduce the consequences of flooding,” Vasudevan says. Creating a blanket system of sensors across a city for street-level data on rain events would be costly. By utilizing connected vehicles, the researchers are tapping a resource already in place now that will only grow larger in the future. Kerkez and Vasudevan say their research represents a first step in creating a smart infrastructure system that collects and responds to data from vehicles on the road. But more work will be needed to bring the concept to fruition.